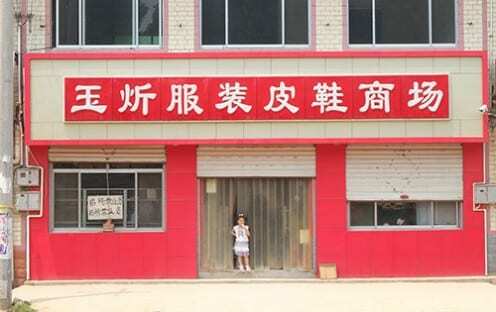 One surprising feature of QQ – the most popular social media platform in the rural Chinese town where I conducted research – is its lack of dedicated ‘business’ profile pages, such as those offered on Facebook. WeChat, the second most popular social media platform in the town, does allow business owners to set up an official ‘public account’ (gongzhong hao), although registration requires users to submit details and a scanned copy of their business licence, which is enough of a hassle to deter most people I knew from signing up. An additional cultural explanation also exists for why dedicated business profiles are less common on social media pages: townsfolk operate a far less regimented division between work and leisure. The town’s shops, restaurants and small businesses are often run by family members. Even owners of larger businesses (like factories) in the town prefer to employ family or close friends wherever possible. Given the choice, people would rather carry out transactions with friends instead of complete strangers. As such, outsiders coming to the town to conduct business often find themselves spending considerable amounts of time and money establishing friendly relationships with townsfolk before any business agreements can be made. These factors mean that owners of small businesses in the town are far more willing to operate their business and personal affairs from a single social media account. This is also reflected in the fact that some owners of these businesses use their shop name as their screen-name, and an image of the facade of the shop as their profile picture. Aside from identifying the store, the convention of including an image of a shopfront also has important symbolic meaning that points to the family. Anthropologist Charles Stafford has noted how doors in China are understood to be important mediating spaces between households and the outside, and that these entrances are also seen to represent the family itself. All this suggests that rather than Chinese social media lacking a business feature, the platform instead reflects very different cultural understandings of the relationship between commerce and kinship, and is actually rather well suited to the rural Chinese preference that business, family and friendship should be closely intertwined.